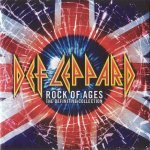 Def Leppard played a show on the Rock Of Ages tour in Peoria, IL on 27th July 2005 and a fan review was sent in by Cheri. The show took place at the Peoria Civic Center. Two other fan reviews are available from this show. "I thought they sounded absolutely fabulous! Joe didn't hit the "high" note on Promises, but what do you expect with night after night performances! They totally rocked!!!!!!!."